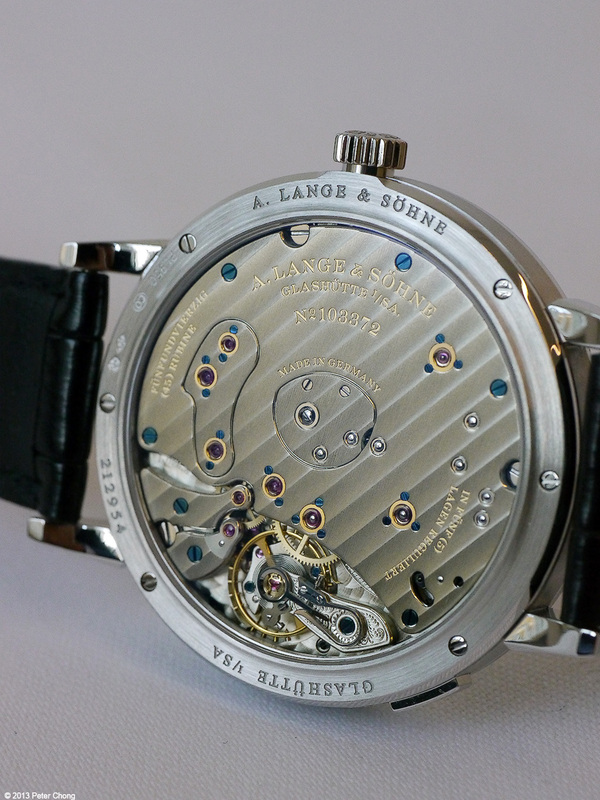 Apologies for taking a while to report here, but as many of you know, I attended the launch event of the latest Lange novelty to hit the press, pre-SIHH. 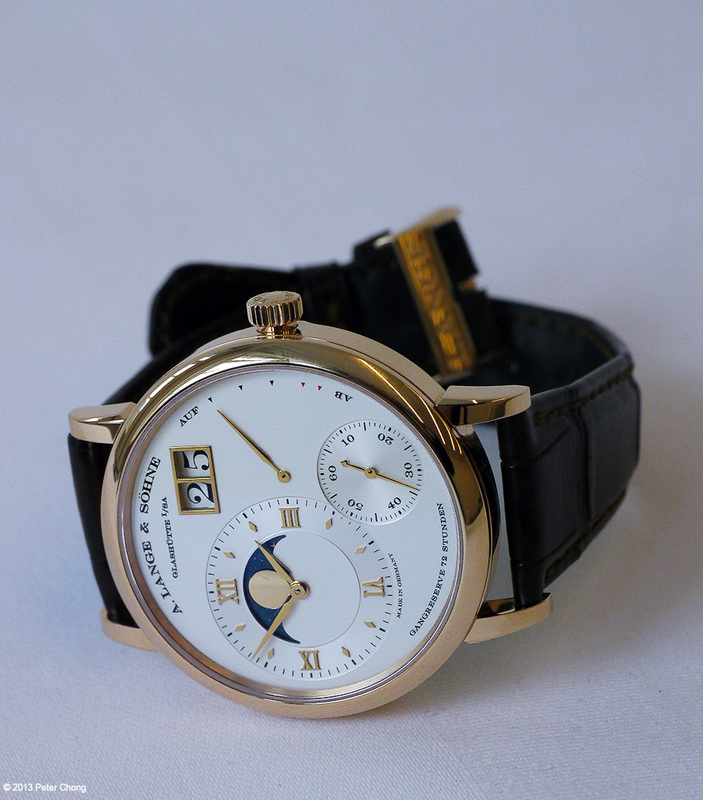 To be sure, there will be more interesting, perhaps more complicated timepieces which will be in store in SIHH. 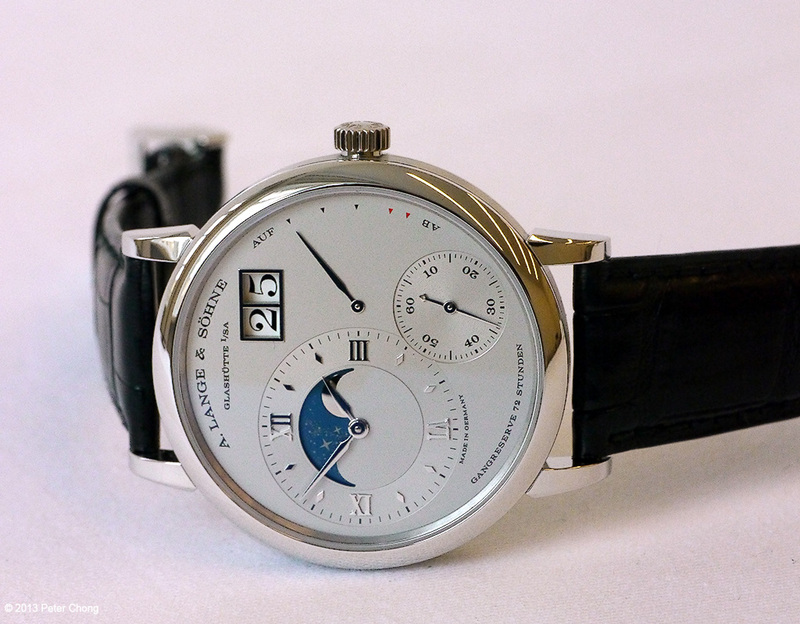 But on December 5 in Glashutte, in the yet uncompleted new factory building at Altenberger Strasse, very nicely done up, wrapped, and heated to accomodate an august group of global journalists, Lange unveiled the Grand Lange 1 Moonphase. In an earlier post, Edwin has put up the details. So here, I will focus on live photographs that I took on December 6, at the Lange 2 building, just across the street from the Launch event. In platinum, always very fetching. 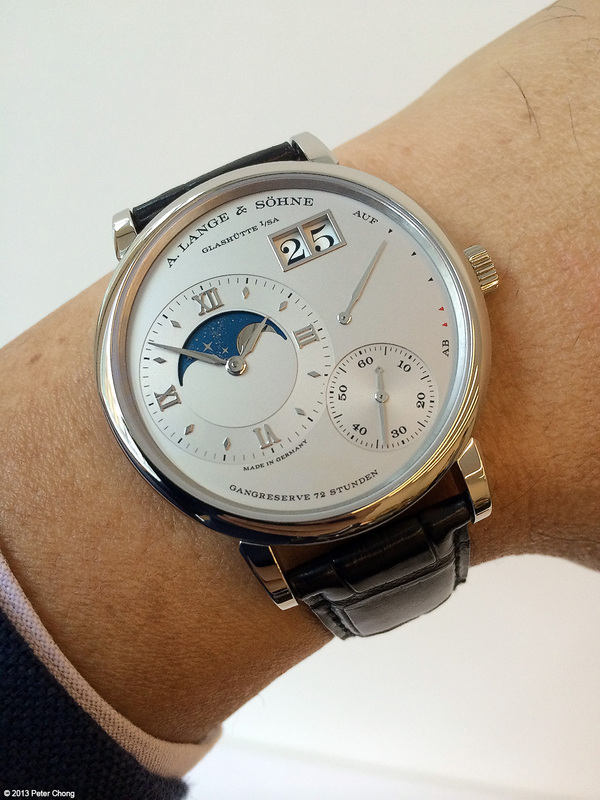 I must take my hat off to the Lange designers. They get everything right. The balance of the design, the smallest details are nicely done, and cohesive, making a very beautiful watch. 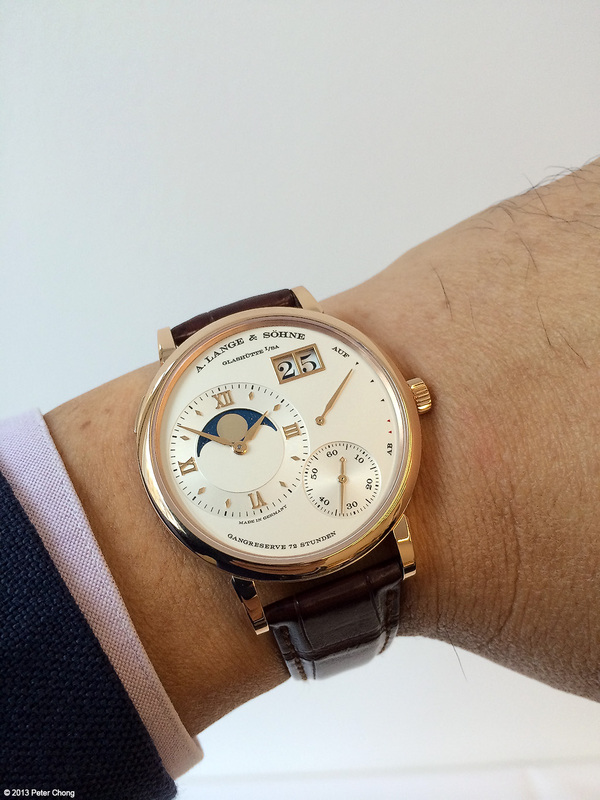 Now with a larger moonphase display than the original Lange 1 Moonphase, which had the moonphase as a cutout in the seconds hand subdial, the larger moonphase is now revealed in a cutout on the main hour-minute dial. 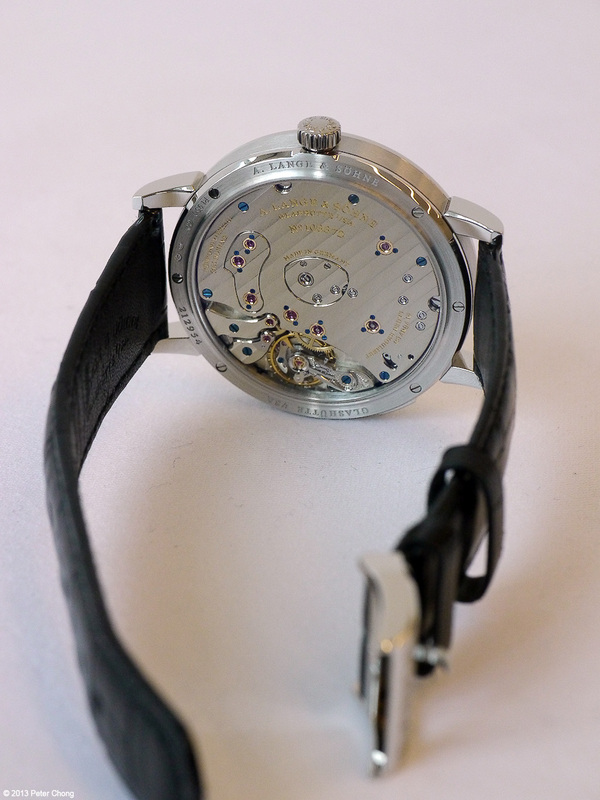 And as usual, the movement is beautifully and magnificently designed. 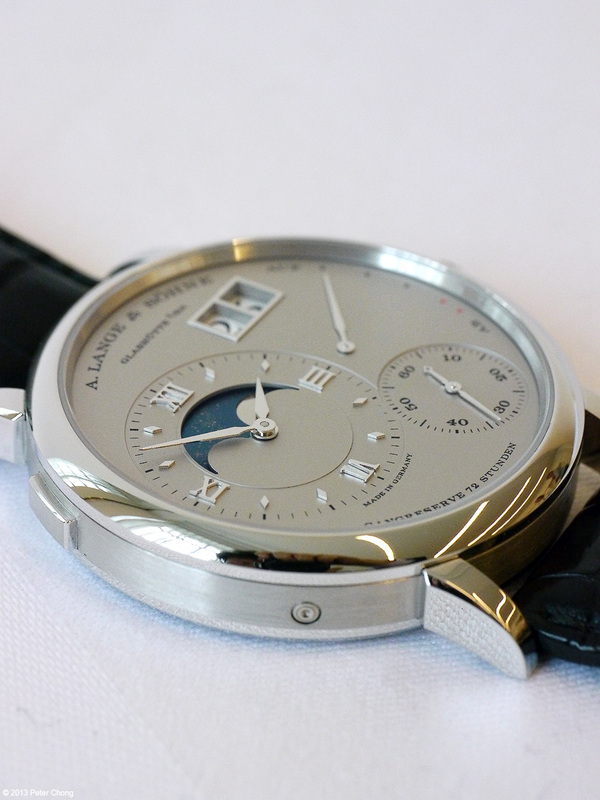 From the back, the movement looks exactly like the recently released Grand Lange 1. Now with 72 hours power reserve, inhouse balance, and enlarged movement to accomodate the larger dial with a larger outsized date. German retail in platinum is €50,900, and in gold is €38,900. Available in platinum, shown above, and in rose gold (shown below) and yellow gold. 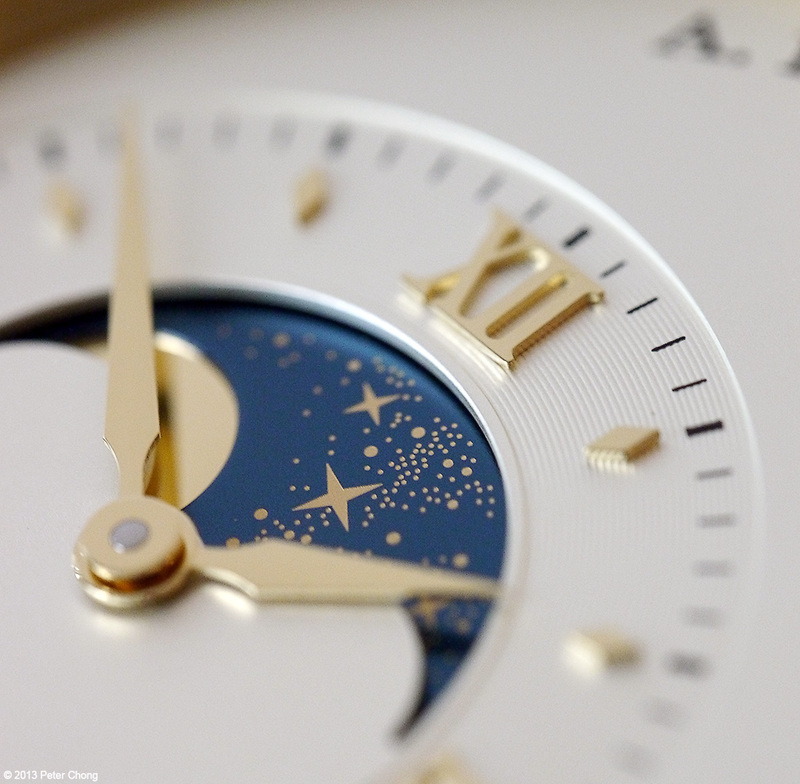 A closer look at the moonphase dial, showing the stars. 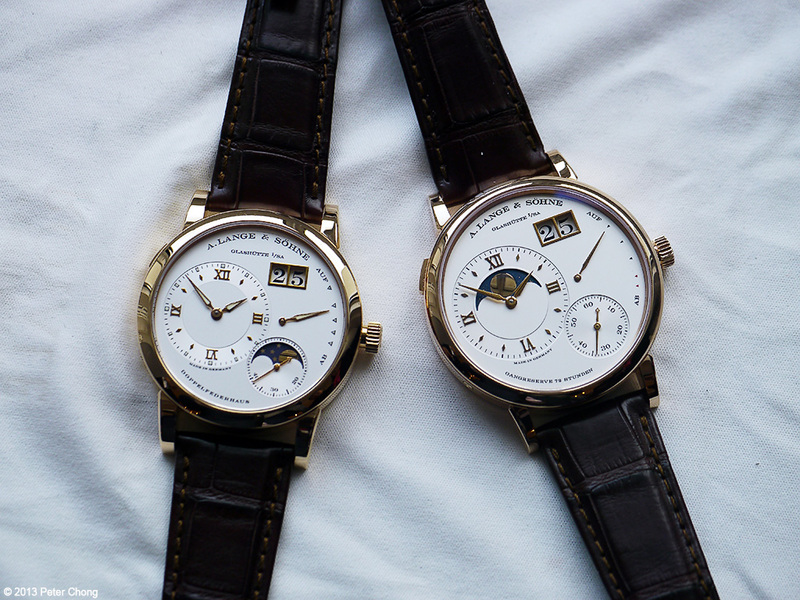 A comparison of the original Lange 1 Moonphase and the new Grand Lange 1 Moonphase. 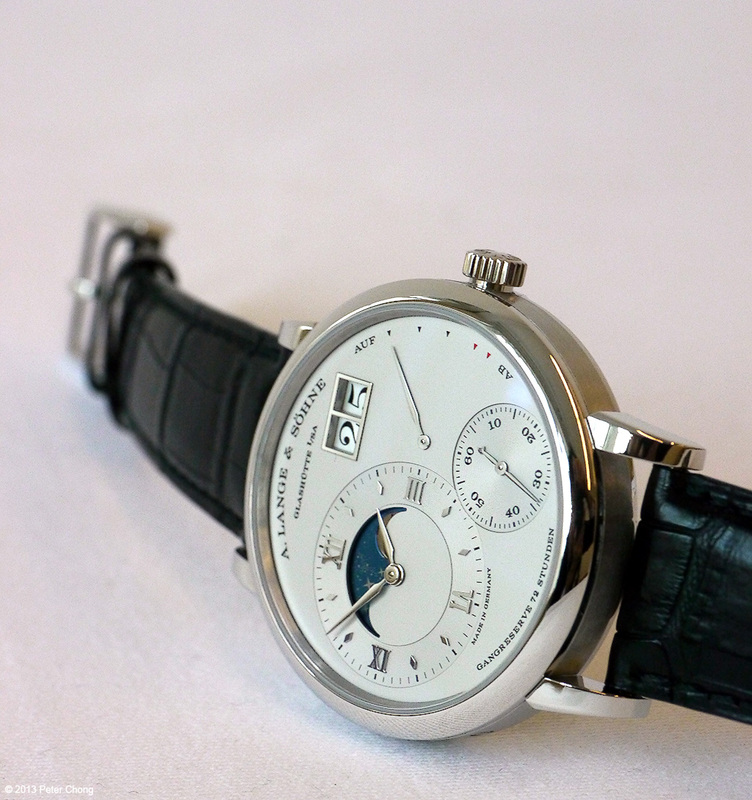 With the benefit of being able to compare both now, I prefer the cleaner look of the new Grand Lange 1 Moonphase. The moonphase display is clearer, more attractive.